The removal is on the recommendation of a committee set up by the Chief Justice Sophia Akuffo to investigate alleged acts of corruption, misconduct and misbehaviour by the three commissioners. The two other commissioners are Amadu Sulley and Ms Georgina Opoku Amankwaa. Mrs Osei, 49, was removed on her third anniversary as chair of the Electoral Commission. She was appointed on June 25, 2015. Her two other Deputies, Amadu Sulley and Ms Georgina Opoku Amakwaa were appointed in May 2012 and July 2013 respectively. The three had presided over the organization of a relatively smooth and peaceful election 2016 but incidents after it have been anything but impressive. There have been accusations and counter-accusations between the three top Commissioners shortly after the election. Some workers of the Electoral Commission petitioned the president for the removal of the Electoral Commissioner in July 2017, accusing her of financial malfeasance and abuse of office. The 27-point petition among other things said the EC chair compromised the independence and neutrality of the commission by arranging for a 2015 V8 Landcruiser, with registration number WR 2291-15, from the Office of the President for use as an official vehicle, without going through the procurement process or without recourse to the commission. 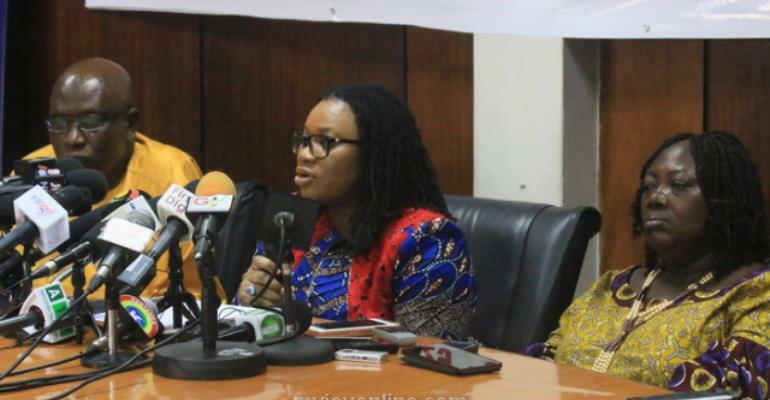 “The chairperson, Mrs Charlotte Osei unilaterally awarded a contract of about $25,000 to a South African company Quazar Limited to change and re-develop the Commission’s Logo under the guise of rebranding without going through tender contrary to the Public Procurement Act,” point 26 of the petition read. The president, in conformity with Article 146 (3) of the 1992 Constitution forwarded the petition to the Chief Justice Mrs Sophia Akuffo after which a committee was set up to investigate the allegations. Mrs Osei debunked the allegations against her by issuing a 27-point rebuttal of the petition. In her rebuttal, she accused her two other deputies of misconduct. No sooner was another petition filed by workers of the EC against the two other Commissioners all whom became subjects of investigation. The Chief Justice Committee made a prima facie case against the three and asked each one of them to prepare a defence. The president, in line with the constitution, accepted the recommendation of the committee and announced the dismissal of the three. Next article After 4 Years Of Vacant Stool, Akyem Kwabeng Swears In New Chief!